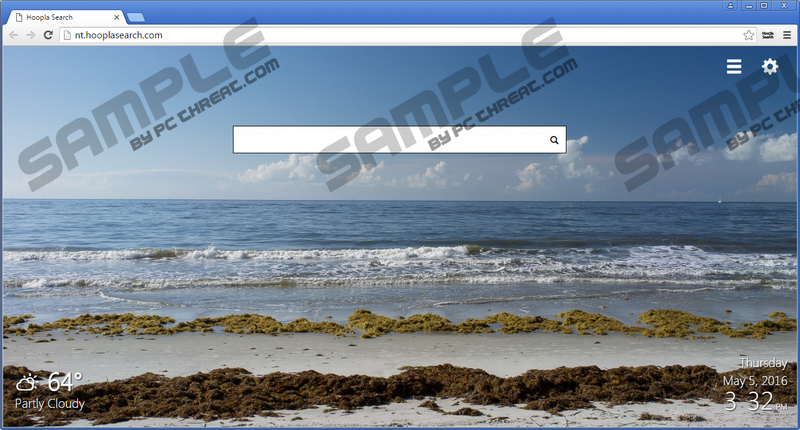 Hoopla Search is a search tool that the users of Mozilla Firefox and Google Chrome browsers can install as an extension. Although users can download this extension from the Mozilla Add-ons store or the Chrome Web Store, it is not a tool that should be trusted. If you acquire this extension from addons.mozilla.org/en-US/firefox/addon/hooplasearch-newtab/, you know it as the creation of LienNThi, but, in fact, the files of this program were signed by Energy Trivia, and our researchers indicate that it belongs to the SuperWeb family. Whichever company you associate this advertising-supported program with, we advise that you eliminate it from your computer and web browsers as soon as possible. If you have no idea how to remove Hoopla Search, you should keep reading this report. If you do not use Mozilla Firefox, you might have downloaded Hoopla Search onto Google Chrome from chrome.google.com/webstore/detail/hoopla-search/hlleadaanbacnkkcmgkljajhkblndghp. The official page, hooplasearch.com, also provides a download link. If you have used neither of these sources, it is possible that you have employed a third-party installer for the installation of this suspicious ad-supported program. If you believe that you might have downloaded this adware packaged with malicious programs, immediately run a malware scanner to find out. Obviously, if malware is detected, you need to delete it as soon as possible. The same goes if you have downloaded Search Expanse, Search Adventure, or other recently developed ad-supported programs by SuperWeb. It is crucial to detect and remove additional software because it could be much more dangerous than adware itself. Once installed, Hoopla Search changes the search settings on your browsers. If you have downloaded this extension onto Chrome, you must have been warned that your search settings will be changed to search.hooplasearch.com. This search tool automatically redirects to Yahoo Search, but it is not the one that will modify your settings. According to our researchers, the search tool that replaces home page, new tab, and default search provider tools is nt.hooplasearch.com. The interface of this engine is a blank page with a search box and a time/date gadget in the bottom-right corner. If you enter keywords, you are redirected to Yahoo Search (yahoo.search.com), and the results provided might be modified. Due to this, we do not advise trusting this tool as a reliable search provider. Unfortunately, many users do not realize this, and they begin using this browser hijacker as a reliable and beneficial tool. You have to uninstall the unwanted app and erase the extension from Chrome or Firefox browser to delete Hoopla Search successfully. Needless to say, this removal operation is not difficult, and even inexperienced users should have no trouble getting rid of this adware. If you do not know how to proceed already, follow the instructions below. Also do not forget to check your operating system for any remaining leftovers. If you leave malware behind, your virtual security could be jeopardized without your notice. Another thing to worry about is further protection. If you understand how important it is to use reliable anti-malware software, install it now, and you will not need to worry about the removal of adware or any other unwanted programs, as they will be eliminate automatically. Move to Uninstall a program and Uninstall the unwanted app. Right-click the unwanted app and select Uninstall to delete it. Click the Start icon on the Taskbar to access the Start menu. Select and Remove the undesirable application. Launch Firefox and tap Ctrl+Shift+A to open the Add-ons Manager. Move to the Extensions menu and Remove the unwanted add-on. Launch Chrome, tap Alt+F, move to More tools, and choose Extensions. Click the trash button next to the unwanted add-on and select Remove. Quick & tested solution for Hoopla Search removal.